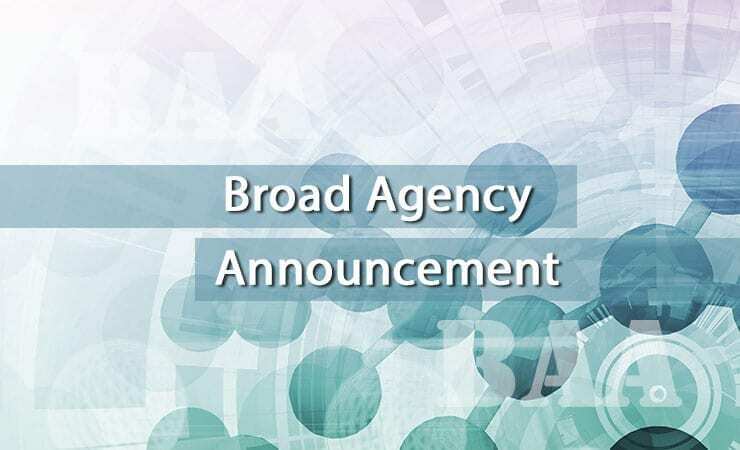 A Broad Agency Announcement (BAA) for the U.S. military’s Chemical Biological Radiological and Nuclear (CBRN) medical countermeasure efforts was renewed this week, according to an update from FedBizOpps.gov. Overseen by the DoD’s Joint Program Executive Office for Chemical and Biological Defense (JPEO-CBD), Joint Project Manager Medical Countermeasure Systems (JPM-MCS), the BAA program funds solutions for current, near-term, and far-term health security challenges by providing the capability to prevent, diagnose and treat the effects of CBRN warfare agents. JPM-MCS is interested in proposals based on data from experiments using specific CBRN warfare agents, not surrogates, to demonstrate safety, efficacy or mode of action. Studies on new and better ways to develop medical CBRN countermeasures more rapidly and with increased efficiency through enabling technologies, life cycle bioinformatics, and improved logistics tracking are also sought. Countermeasures should protect against threat agents, be deliverable by minimally invasive means in as few doses as feasible, provide protection as quickly as possible, maintain protection as long as possible, and be flexible enough to respond to a wide range of agents, including genetically altered agents. Science focusing on characterizing the nature of the threat to identify key targets for intervention or disruption of the agents and their effects is supported under this BAA. Gene or nucleotide therapeutics and protein-based therapeutics targets are identified as promising areas/products for investment by DoD. JPM-MCS is also interested in developmental efforts that improve the ability of DoD entities to perform identification and characterization of infectious disease and biological warfare threat agents associated with veterinary, arthropod vector, and environmental surveillance samples. Generally, this BAA is continuously open; preliminary proposals (preproposals) may be submitted and will be evaluated for the general requirements of this BAA at any time throughout the year. From time to time, special announcements or calls for proposals referencing this BAA may be issued for specific emerging requirements. Potential applicants are encouraged to discuss their proposal ideas with the JPM MCS technical contacts prior to submitting a white paper. Further details are available via Solicitation Number: JPM-MCS-BAA-15-01.